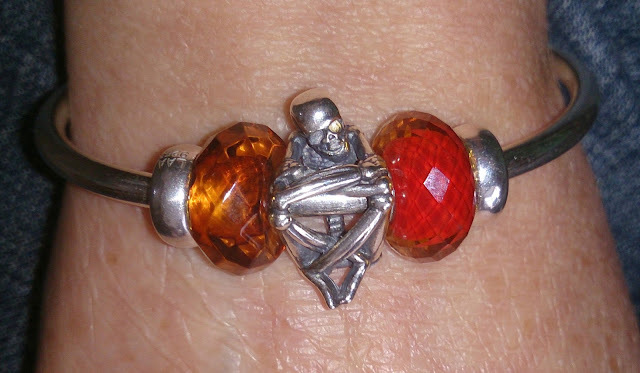 Whilst I wait for the rest of my Trollbeads order from the Fall Collection, I started playing around with some of the beads I bought on the day. Bangles are the obvious choice for quick play as you only need a few beads and you're done. No surprise to me I went straight to Skeleton Spirit, the silver bead I'd been dying to try out! Meet Lenny! Yes he's already been named, it's not something I normally do but this was an exception - although it may get confusing if I eventually get another... or not?!? 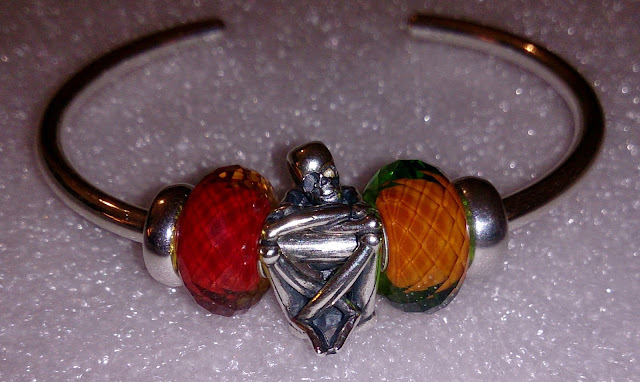 One retailer has already reported that there is a variation within this bead, which is very unusual given it's a silver production bead - it's to do with the angle of his head, mine is slightly inclined to the right as you look at Lenny head on, apparently the bead also comes with the head looking straight on too! 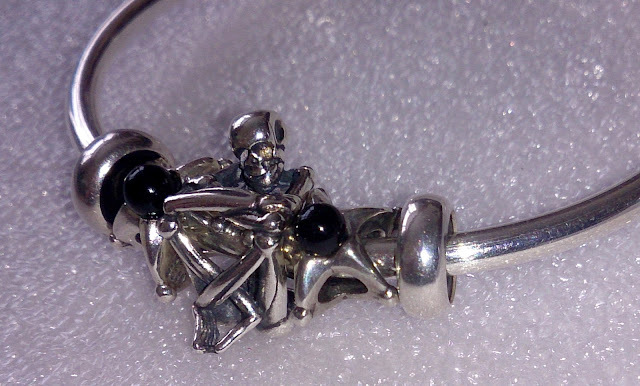 I don't have any photos myself of the bead looking straight ahead but I have seen some on Trollbeads Gallery Forum on a stunning silver bracelet using SIX of these beads. To me, the bead looks fab either way, but if you are a little bit particular about your beads you may want to check this out with the retailer before you buy. 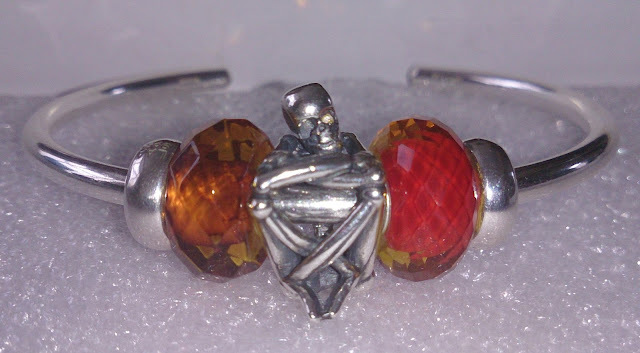 Skeleton Spirit is such an easy bead to use on a bangle, just pop a bead either side and away you go! So which one have I been mostly wearing since the weekend? I can confirm that Lil' Bob's head is positioned straight though he has a bit of a downwards gaze going on... I'm sat waiting for my second to arrive!! Can't wait to see what you do with your duo!